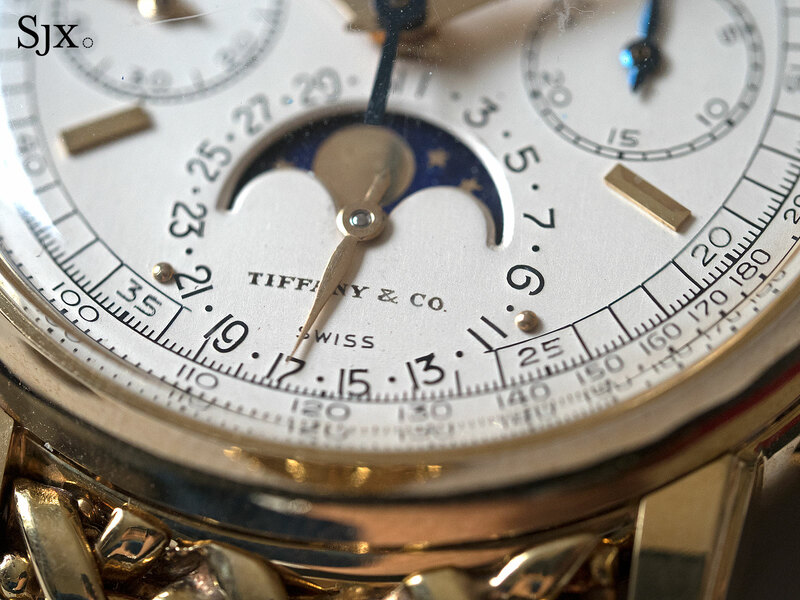 Stellar timepieces from Geneva's finest, including a million-dollar, double-signed 2499. 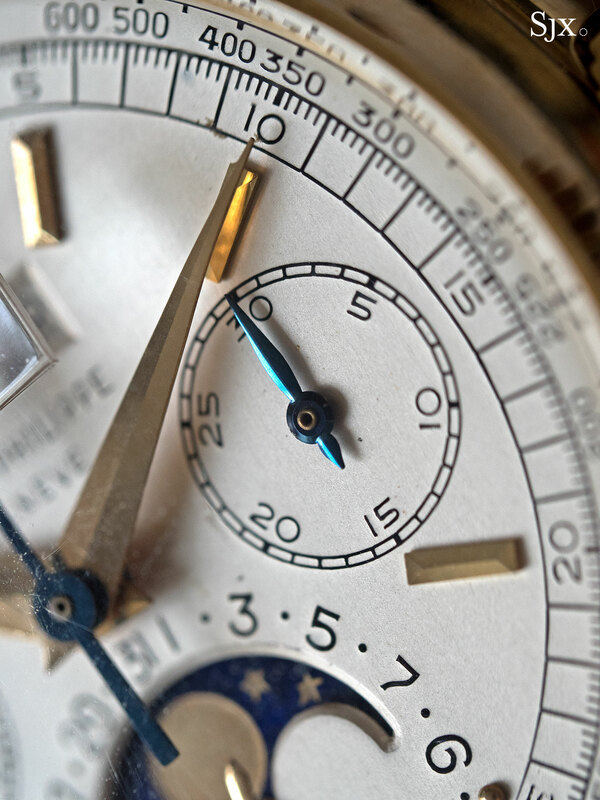 Taking place mid May in Geneva at the posh and secluded La Reserve hotel, The Geneva Watch Auction: Five is Phillips’ biggest to date, with 237 lots going under the hammer over two days. 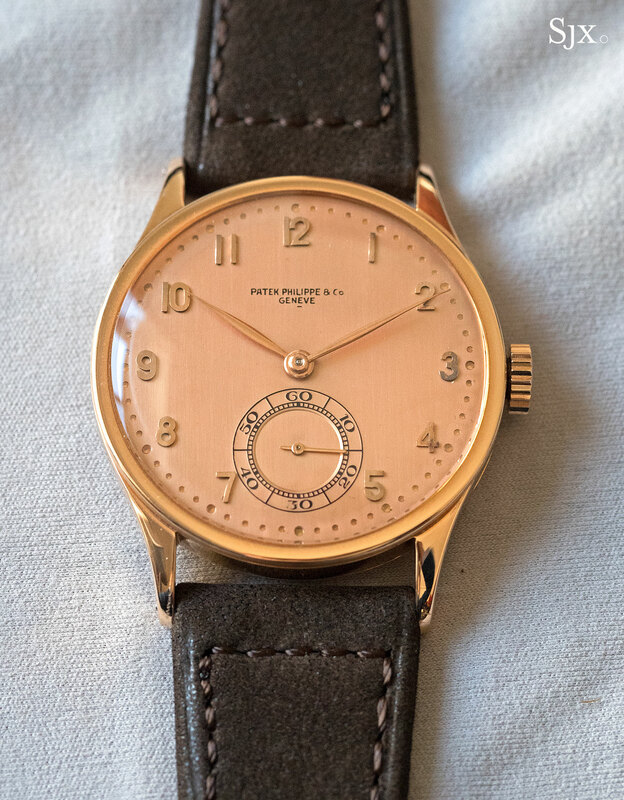 A quarter of the catalogue are Patek Philippe timepieces, including pocket watches, a dome clock, as well as a diverse line-up of wristwatches with a notable number of examples in pink gold. The headline piece is undoubtedly lot 38, a second series ref. 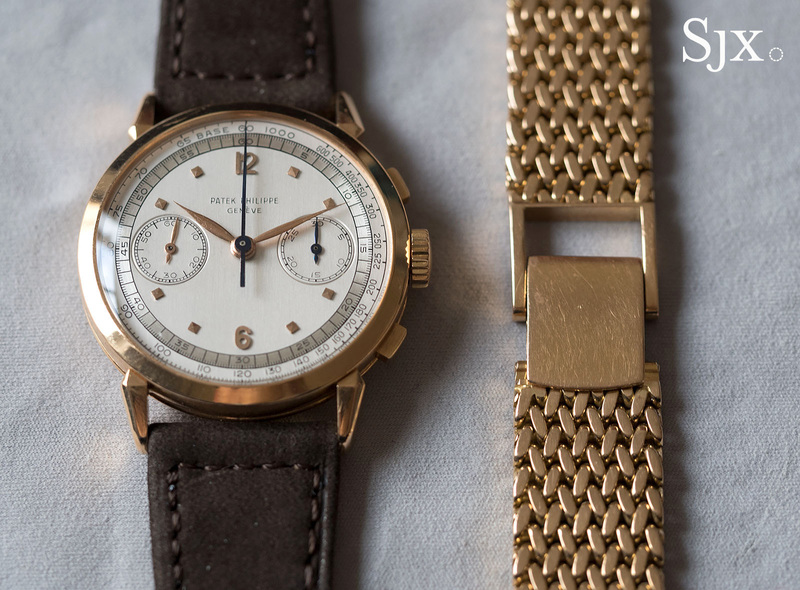 2499 signed “Tiffany & Co.” on the dial and accompanied by its original gold bracelet. It is a lot of watch, looking and feeling substantial, despite being only 37.5mm in diameter. 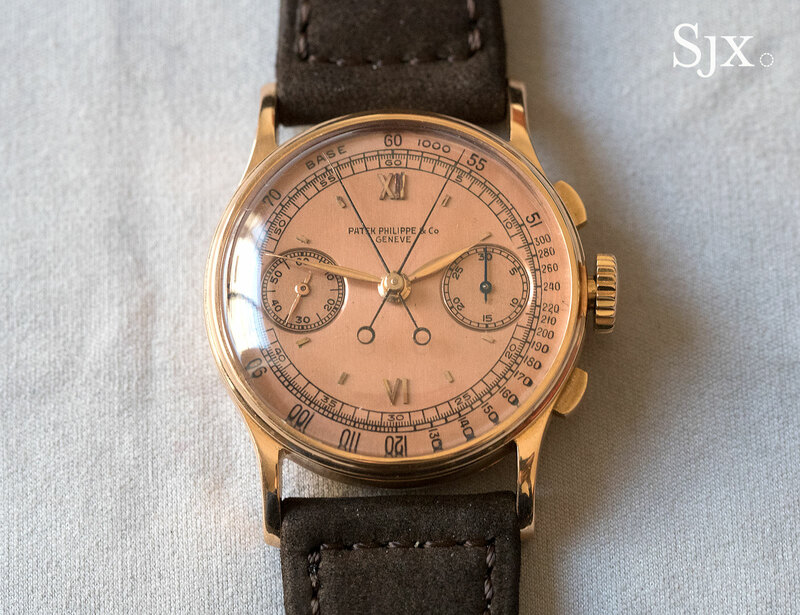 One of just two known examples of the second series with the American jeweller’s signature on the dial, this watch is in fine condition, with a well preserved case that retains the fluted edges along its lugs. 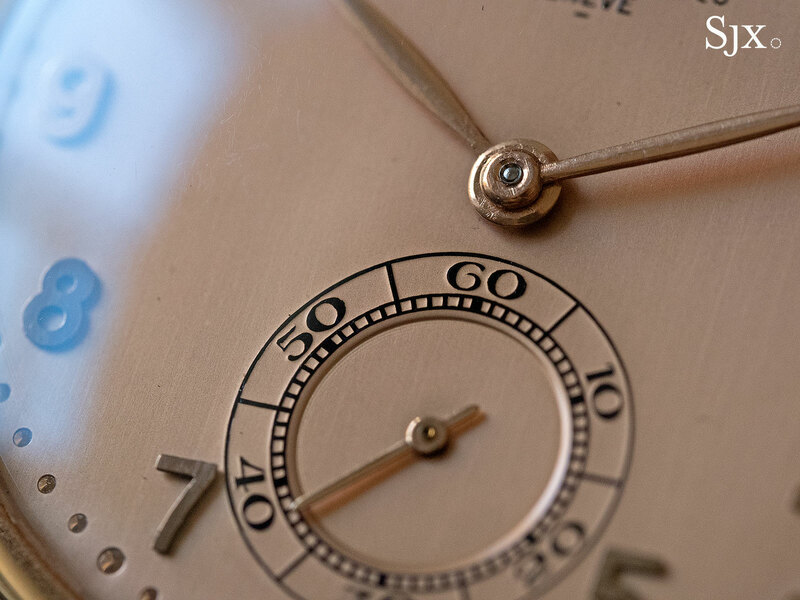 With the Tiffany signature at six flanked by two gold spheres as hour markers, the dial might be a special order. 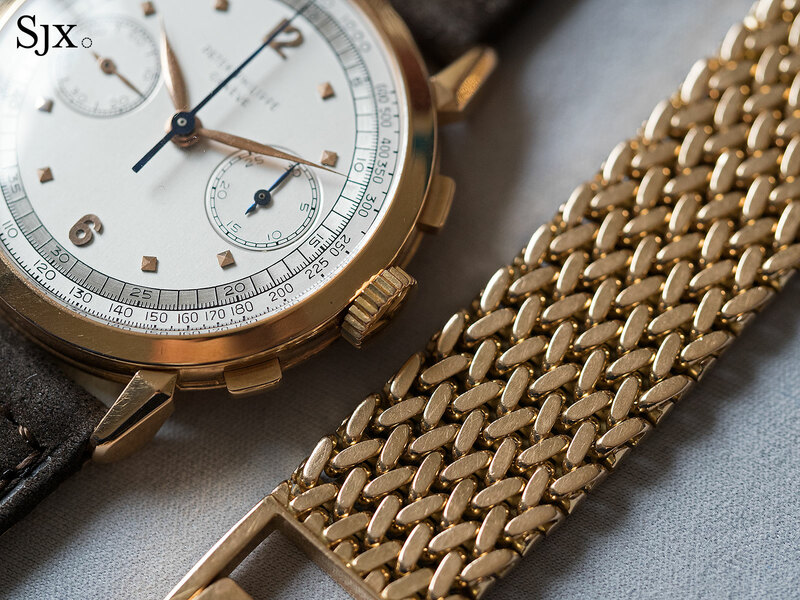 But what really sets it apart is the American-made basketweave bracelet – signed “Tiffany & Co.” and “Z&F” for manufacturer Zelman & Friedman – that gives the watch tremendous presence. Already the ref. 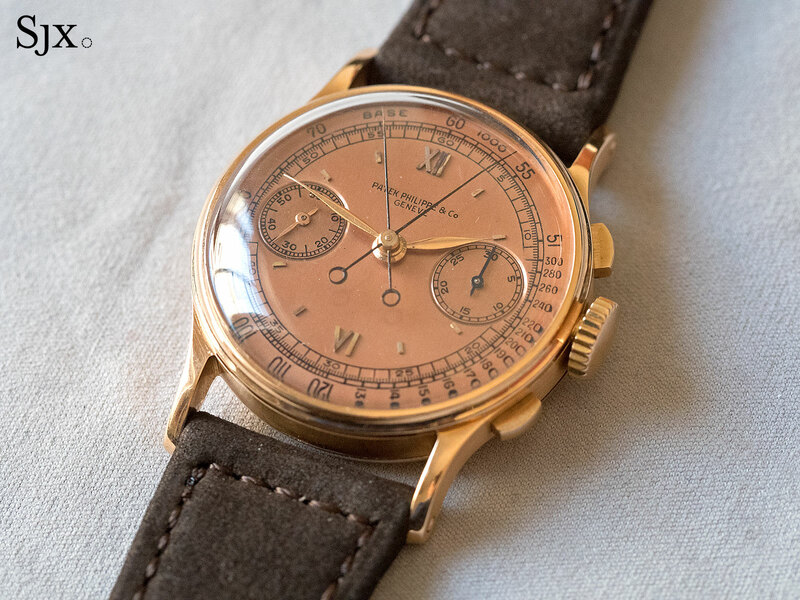 2499 is the largest vintage chronograph with perpetual calendar produced by Patek Philippe, making it well suited to modern tastes, but the bracelet gives it that much more mass. Like most other bracelets of the period, it is of a fixed length making it slightly impractical. Produced in 1960 and sold in 1968, the ref. 2499 is estimated at SFr1m to SFr2m. Also distinguished by its original bracelet and not quite as rare as the ref. 2497, but arguably more alluring is lot 116: a ref. 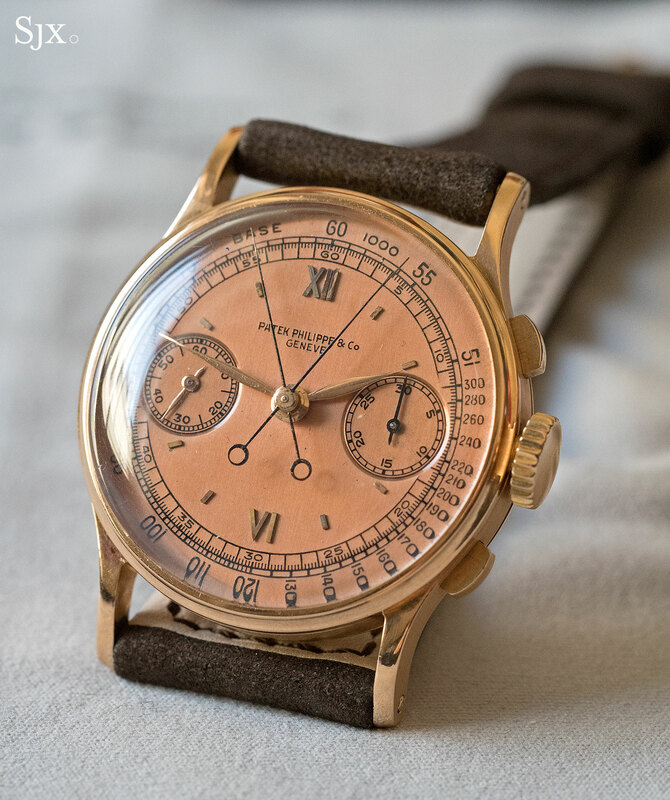 1579 chronograph “spider lugs” in pink gold retailed by Serpico y Laino and fitted to a Gay Frères bracelet. This is the only known pink gold ref. 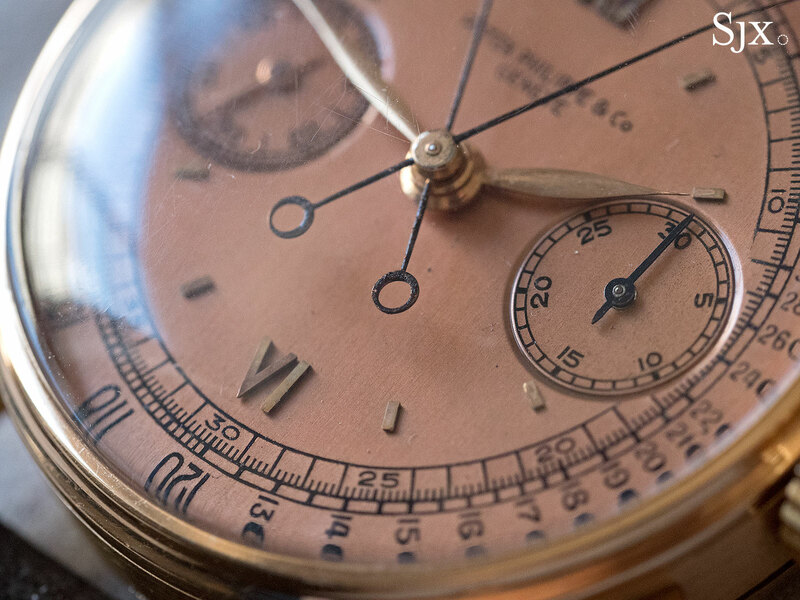 1579 retailed by Serpico y Laino, having come from the collection of an exceptionally prominent collector, along with several other watches in the sale. 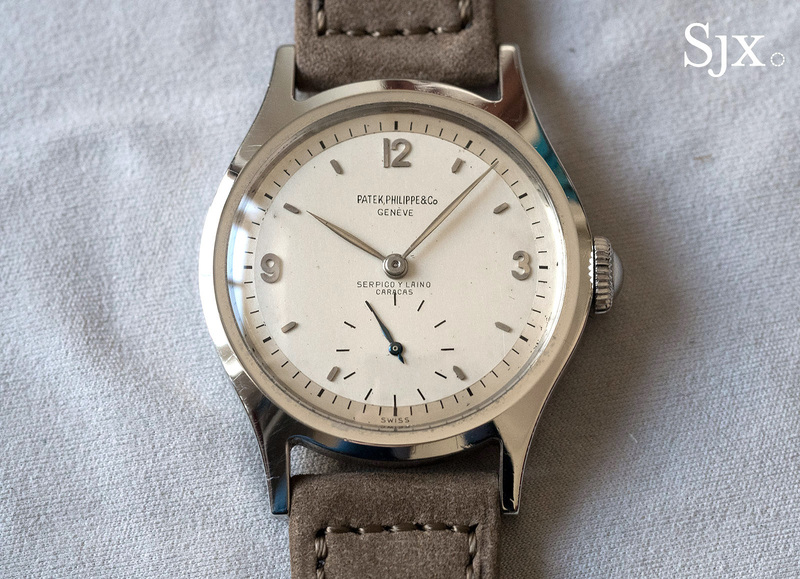 Back in the mid 20th century when Venezuela was a wealthy oil exporter, Caracas-based Serpico y Laino was a crucial retailer of fine timepieces. This ref. 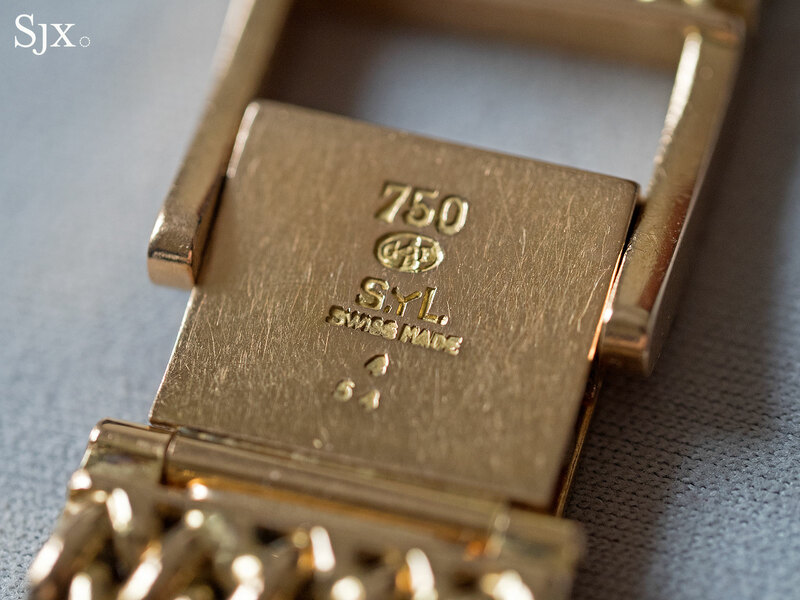 1579 was sold by Serpico y Laino in 1950, with the hallmarks “S&L” on the case back and “S.yL.” on the bracelet. 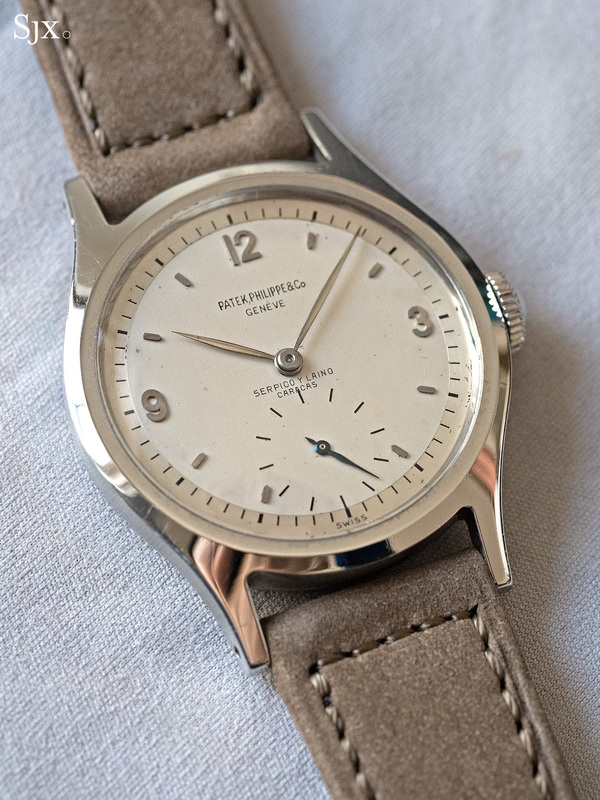 Interestingly, the production numbers on the bracelet date it to 1954, implying that the original owner acquired it subsequently as an addition to the watch. But perhaps more impressive than the history is its condition. The ref. 1579 is nicknamed anse a ragno, or “spider lugs”, after its facetted and angled lugs. Because of their shape the lugs tend to lose definition over time, from wear or polishing. Most specimens of the ref. 1579 look slightly tired. This ref. 1579, on the other hand, is in sterling condition – the lugs are strikingly well-defined. The label “unpolished” is used too often and loosely, but in this case (no pun intended) it appears appropriate. 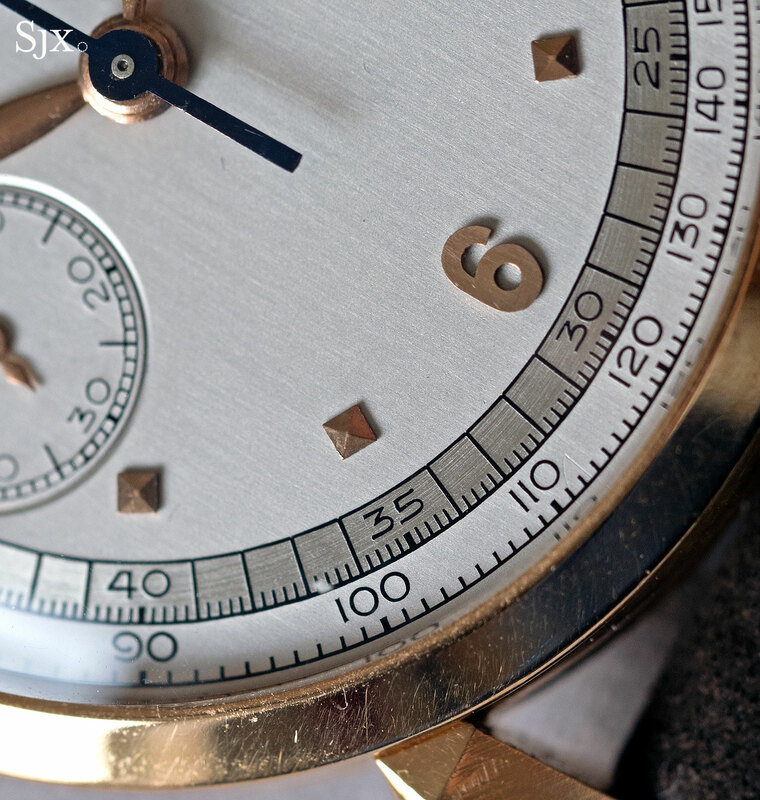 Similarly, the two-tone dial is clean and crisp. 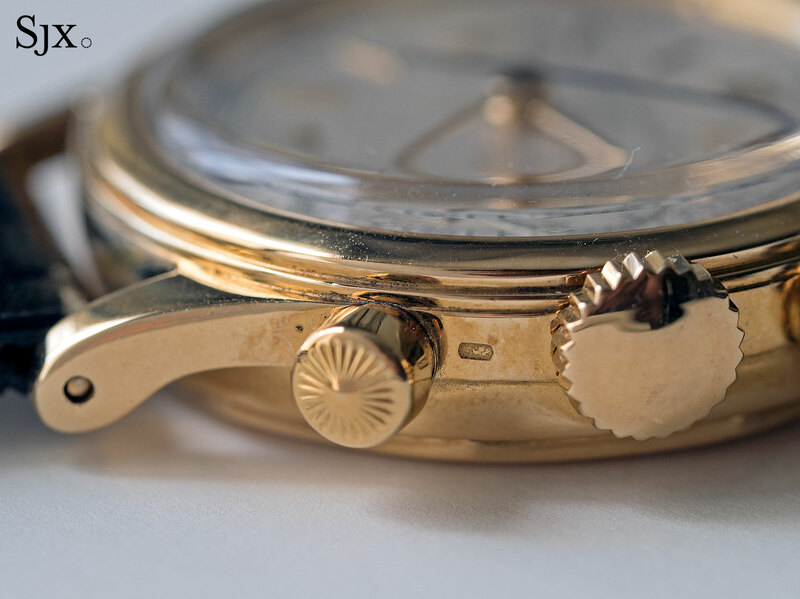 There’s notably minimal wear around the centre holes of each of the hands, something that’s often encountered on vintage watches when hands are repeated removed for servicing. The ref. 1579 is estimated at SFr100,000 to SFr200,000. It last sold for SFr219,000 at Christie’s in 2012. 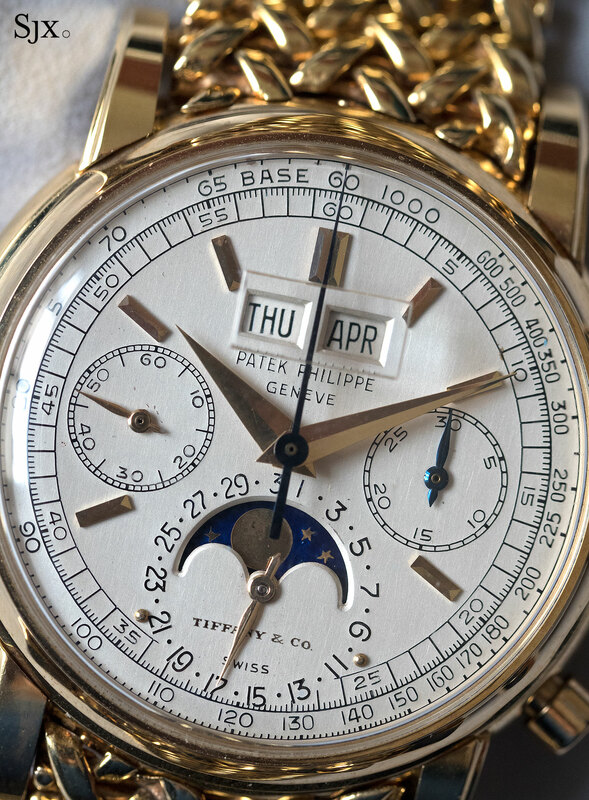 Another well known Patek Philippe chronograph with a nickname – oh, where would vintage watch collecting be without Italian nicknames? – is the ref. 1463 “Tasti Tondi”. 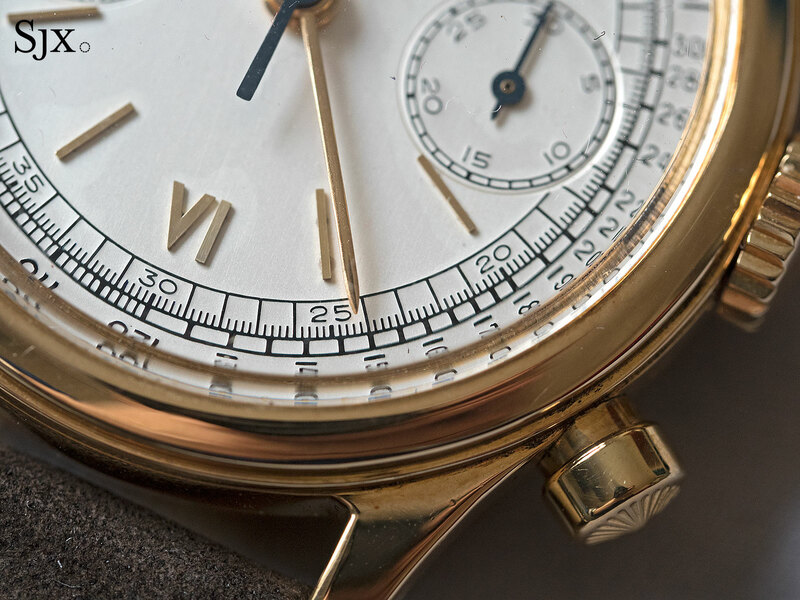 Translating as “round buttons”, a reference to the onion-top chronograph pushers, the ref. 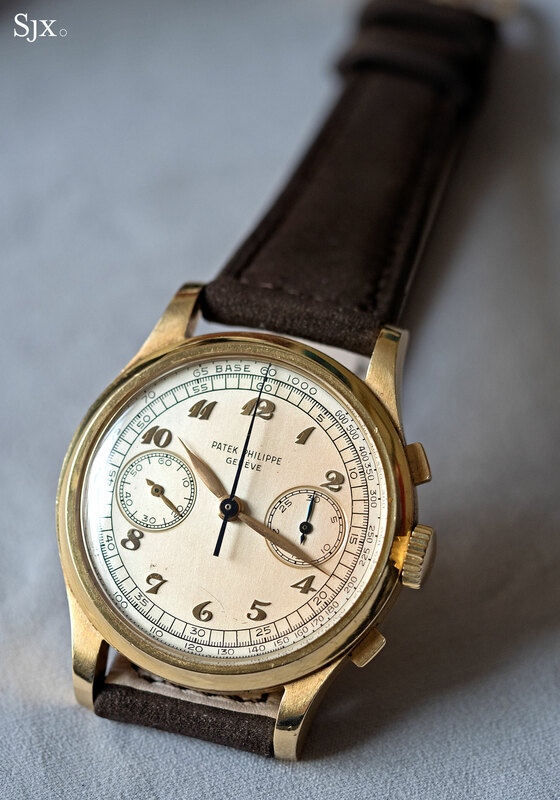 1463 was Patek Philippe’s sports chronograph of the mid 20th century. 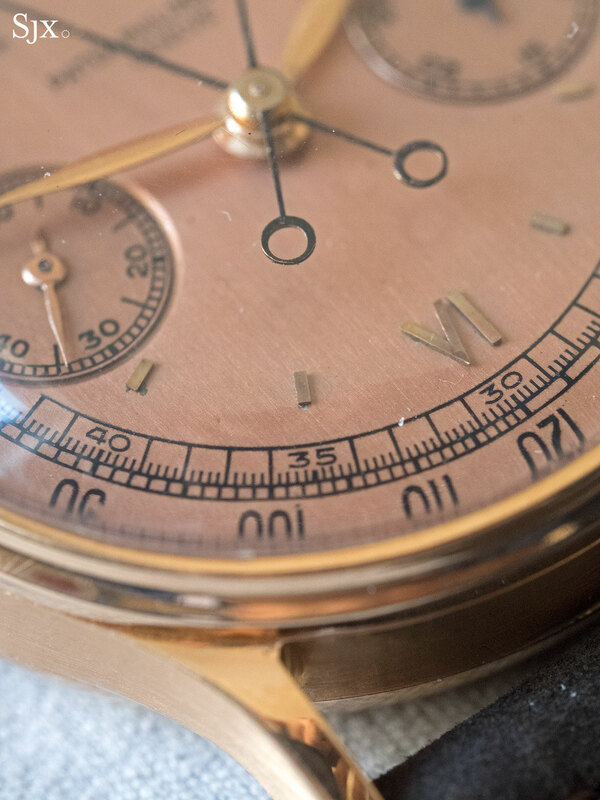 Consequently, it is relatively large for the period at 35mm in diameter, in contrast to the usual 33mm of the standard chronograph models. More significantly, the ref. 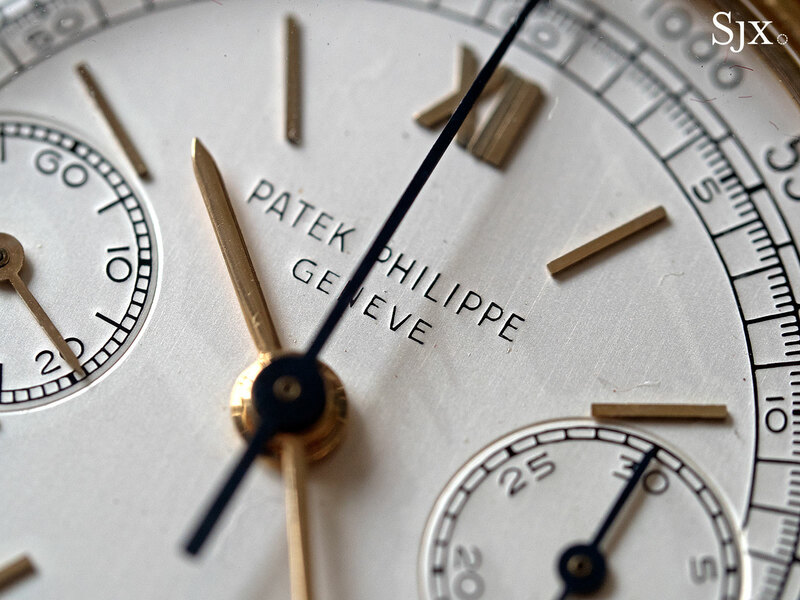 1463 was the only Patek Philippe chronograph with a screw-down back, making it water-resistant. And there happen to be two in this sale. The first is lot 31, a ref. 1463 with a two-tone, pulsations dial. Dating to 1953, this second series ref. 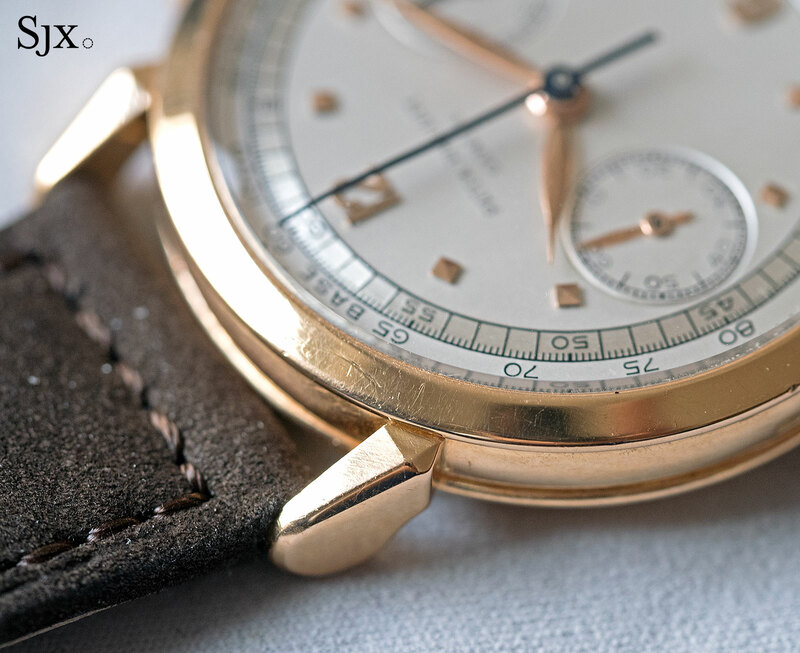 1463 is especially rare because it has both a pulsometer scale as well as a two-tone dial. Only a handful of ref. 1463s are known with such dials, explaining its estimate of SFr150,ooo to SFr250,000. The second example is lot 162, a ref. 1463 “Tasti Tondi”* from 1958. It’s a quintessential ref. 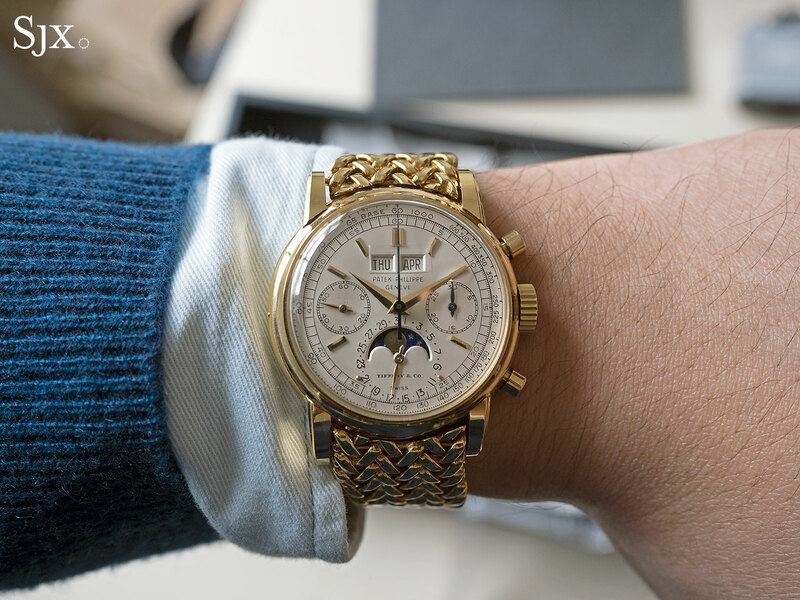 1463, in yellow gold with a silvered dial. Specifically, this is a second series ref. 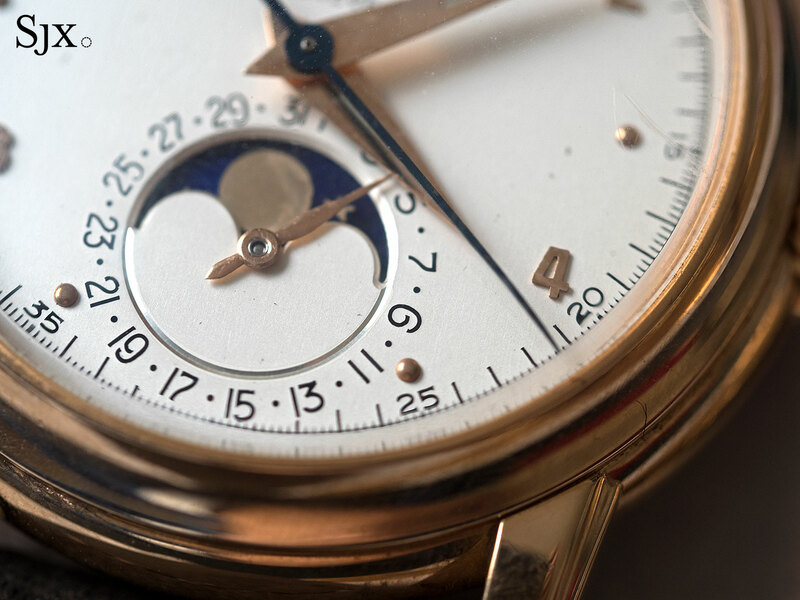 1463, with the wider lugs, flat, unsigned crown, and narrow bezel that mark it apart from the first. Additionally, it has a railway minute track around the dial, a feature absent in later specimens, rendering earlier examples more desirable. Despite being 60 years old, this ref. 1463 is in handsome condition. 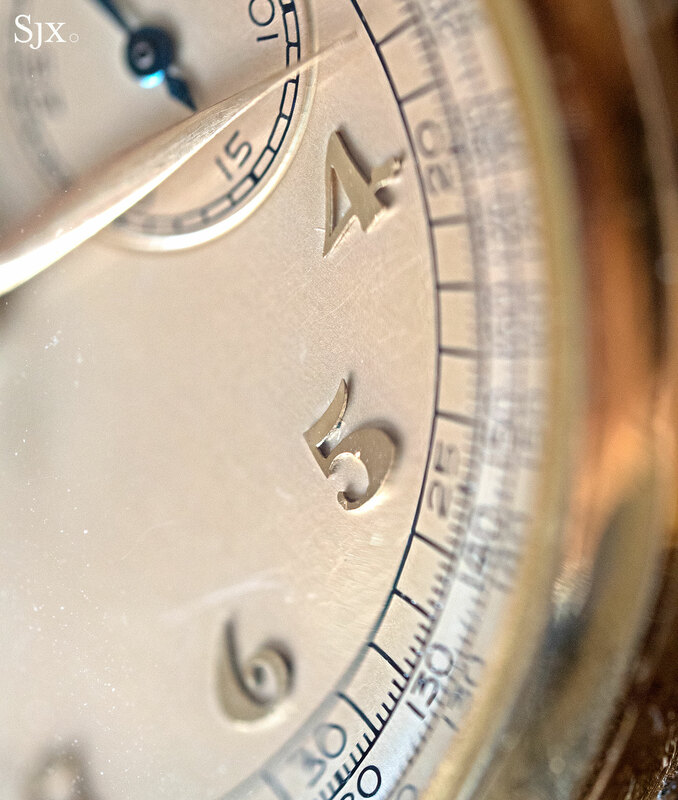 The champlevé enamel lettering and markings on the dial are notably well preserved, standing thick and raised from the dial surface. 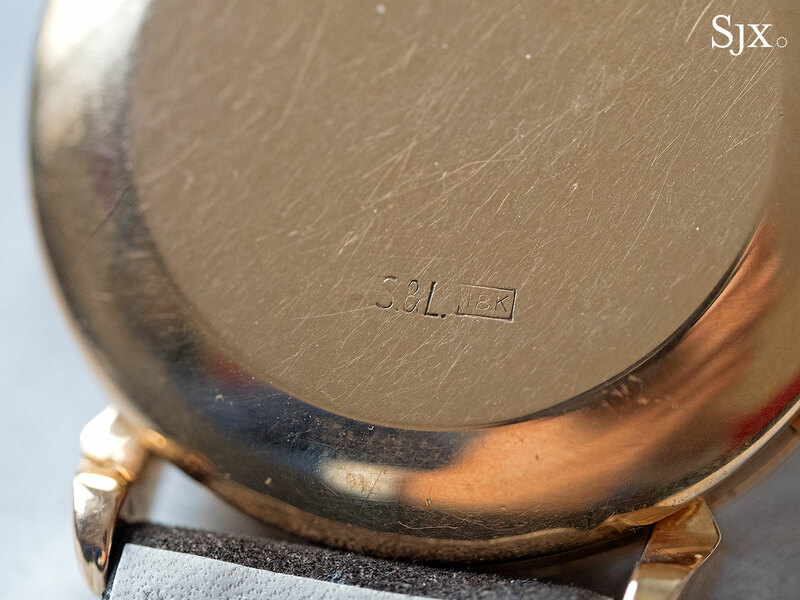 Similarly, the hallmark on the case band is intact and deep. The ref. 1463 “Tasti Tondi” is estimated at SFr80,000 to SFr120,000. 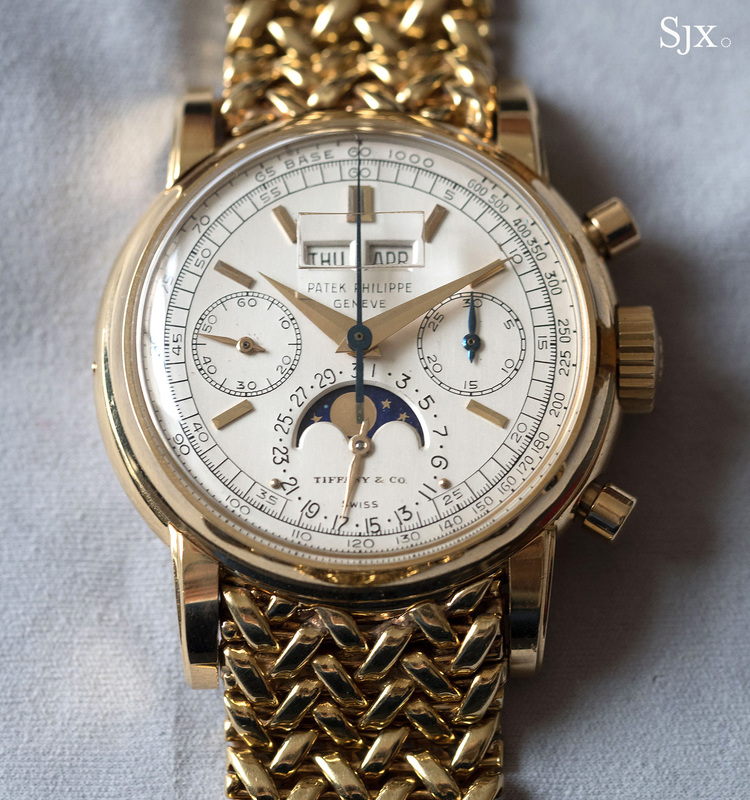 Perhaps the most substantial Patek Philippe chronograph in the sale is lot 37: the ref. 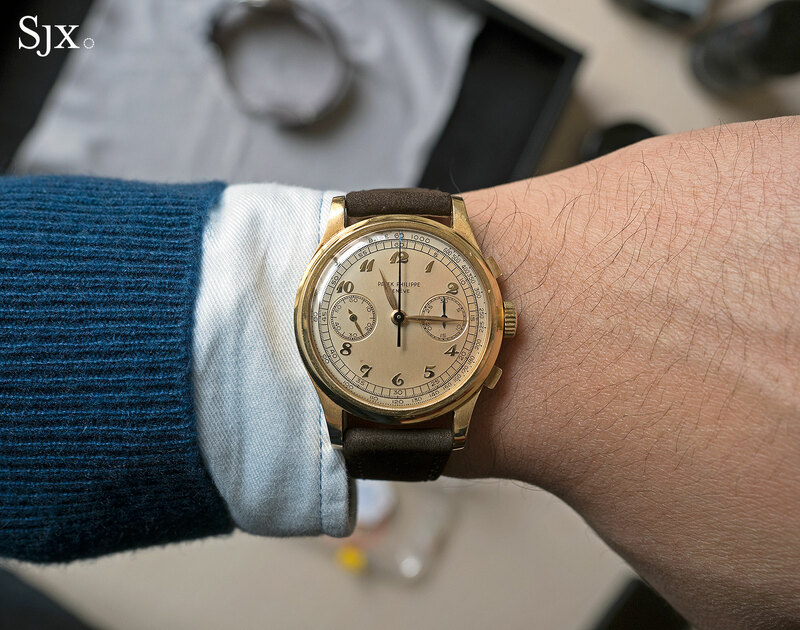 530 in yellow gold with Breguet numerals. At 36.5mm in diameter, the ref. 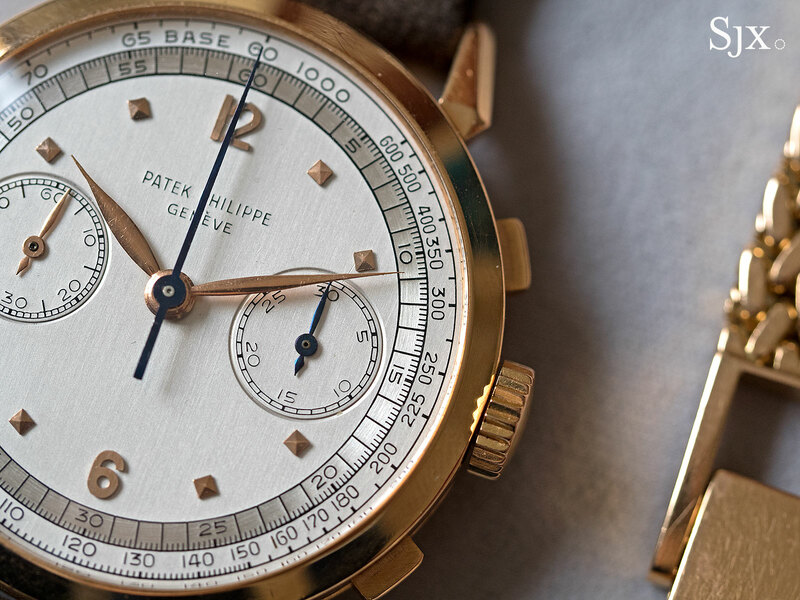 530 is generously proportioned for its time, when the average Patek Philippe chronograph was a dinky 33mm. In fact, the ref. 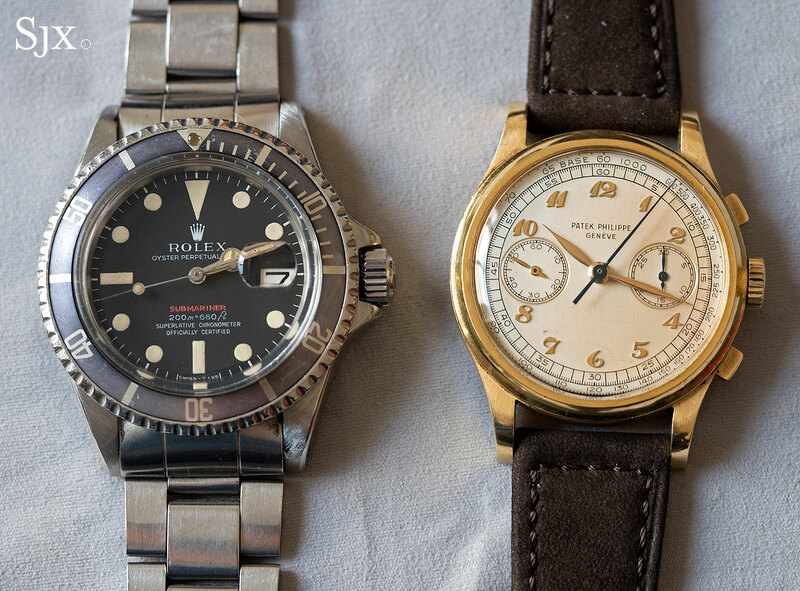 530 is large even by modern standards, even when set against the Rolex Submariner. Produced in 1949 and sold a year later, this ref. 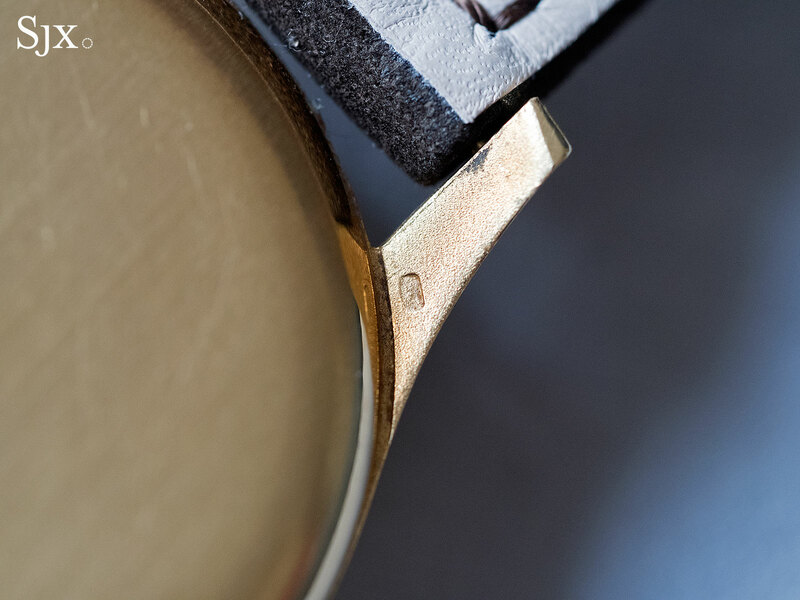 530 has wide lugs, a concave bezel and large dial, giving it the feel of a modern day watch. While the silvered dial has aged, it is original, and the case is well maintained, retaining the original brushed finish and hallmarks. 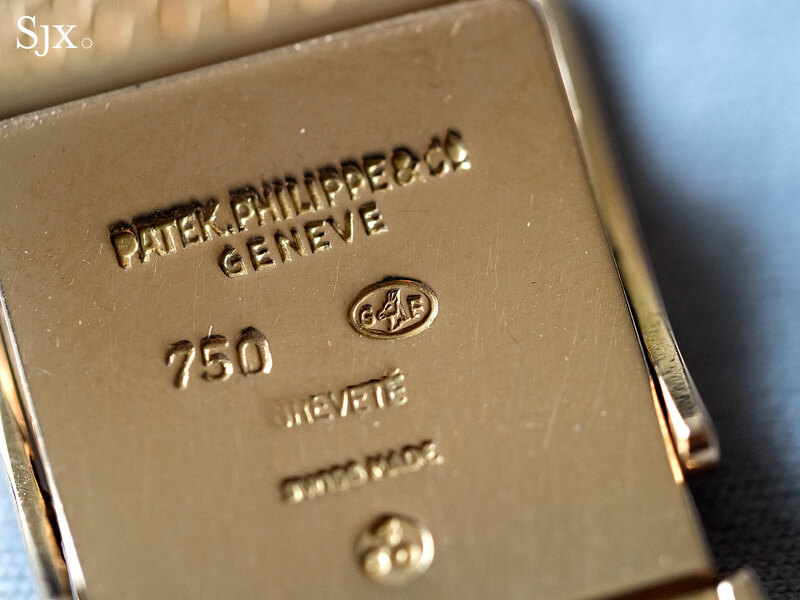 Even though yellow gold is the most common metal for the ref. 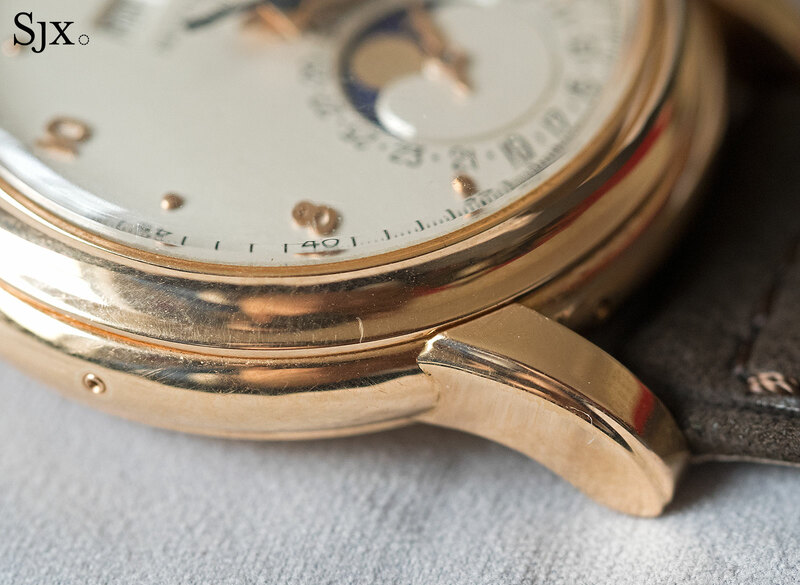 530, this particular watch is deeply unusual, being the only known specimen in yellow gold with Breguet numerals. Having sold in 2011 at Christie’s for SFr603,000, it carries an estimate of SFr300,000 to SFr600,000. Catchily nicknamed the “The Sydney Rose”, lot 171 is a ref. 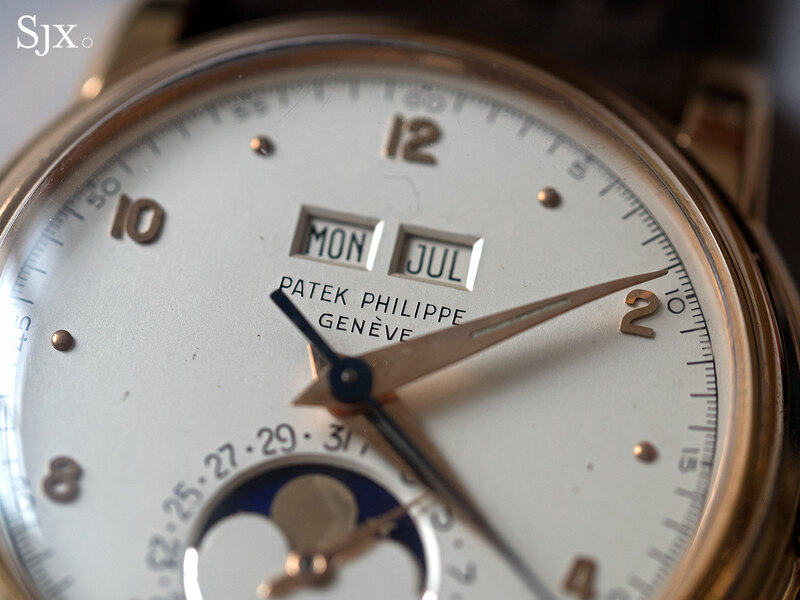 2497 in pink gold, an extremely rare variant of Patek Philippe’s first serially produced perpetual calendar wristwatch. 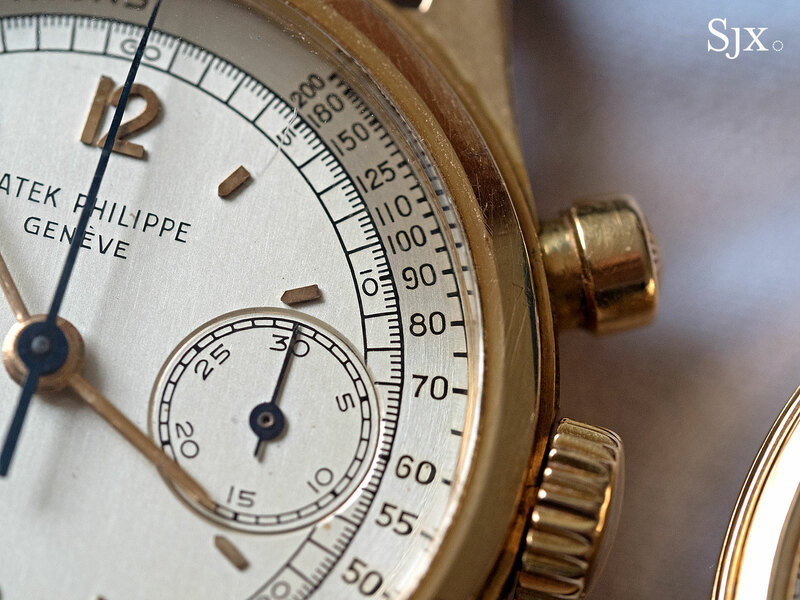 With the Arabic numerals and dot hour markers that characterise early production pieces, this ref. 2497 has two notable features. One is the luminous dauphine hands (that replaced the original leaf-shaped hands), and the other a pink gold mesh bracelet made by Gay Frères. 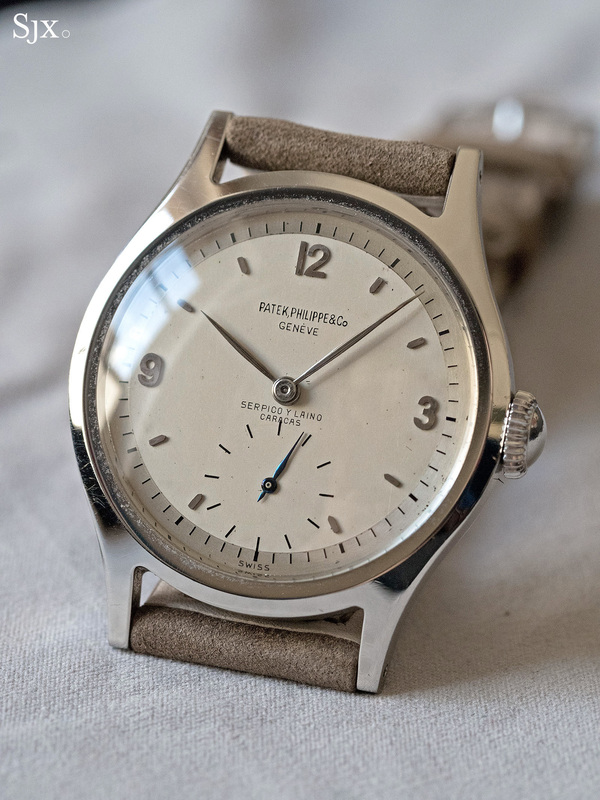 According to Phillips, both were likely installed after the watch was produced in 1954, in an effort to find a buyer; it finally sold in 1960. 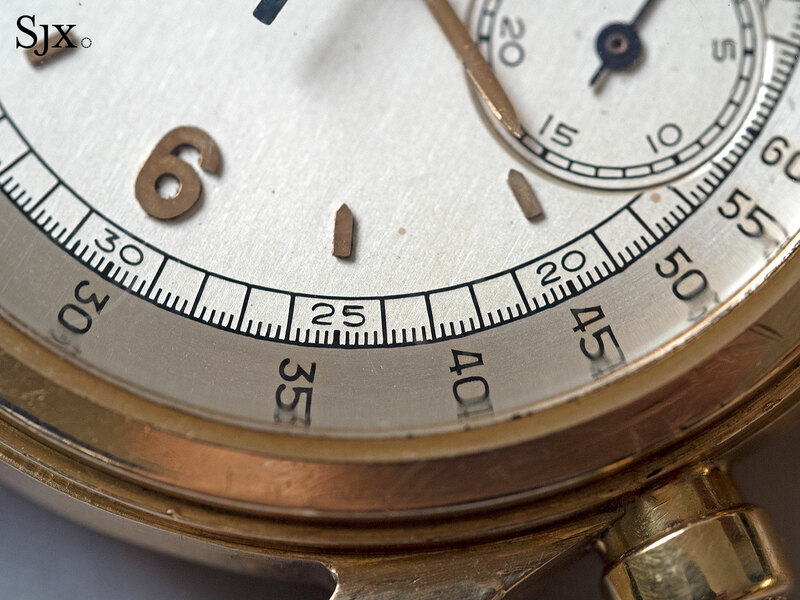 The nickname comes from the fact that the buyer of the watch was Australian, and the father of the consignor. 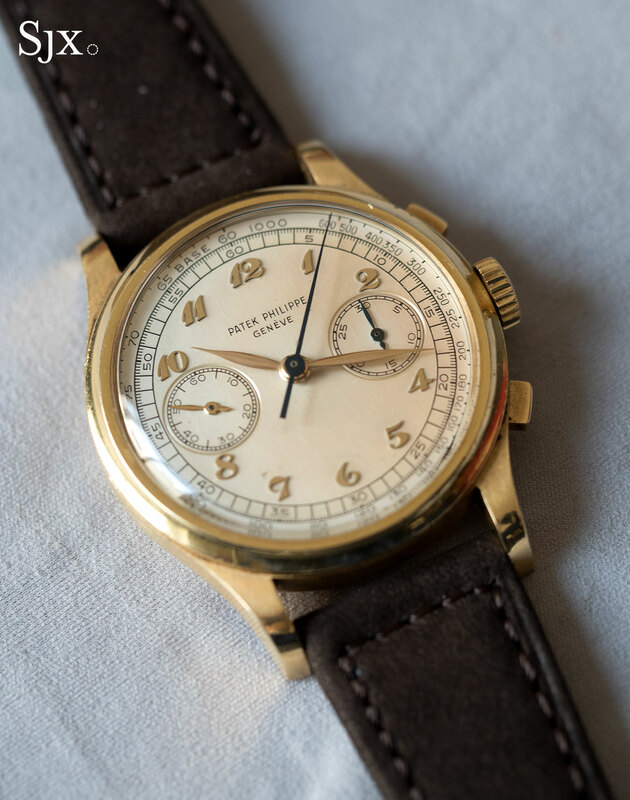 After the watch was acquired in 1960, the then owner had it serviced just once in 1969 and wore it sparingly, explaining its outstanding condition. The ref. 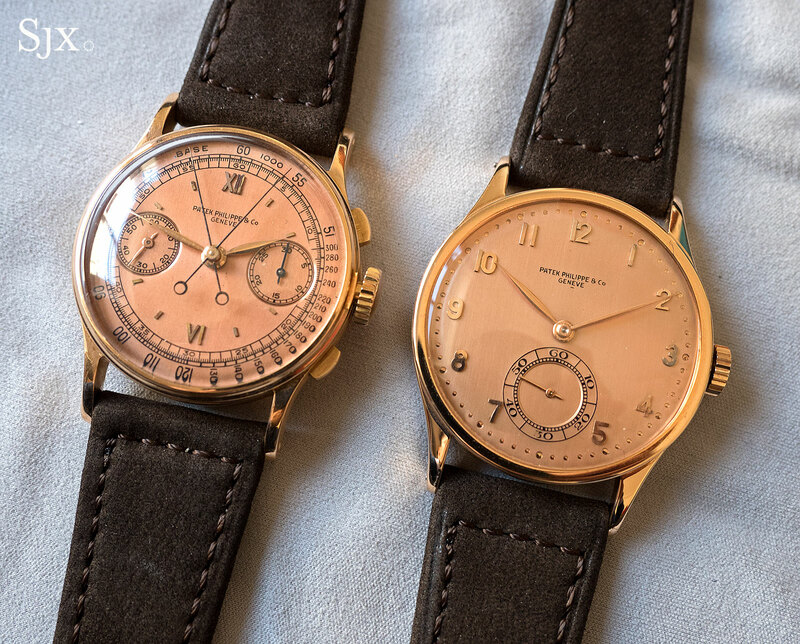 2497 in pink gold is estimated at SFr400,000 to SFr800,000. 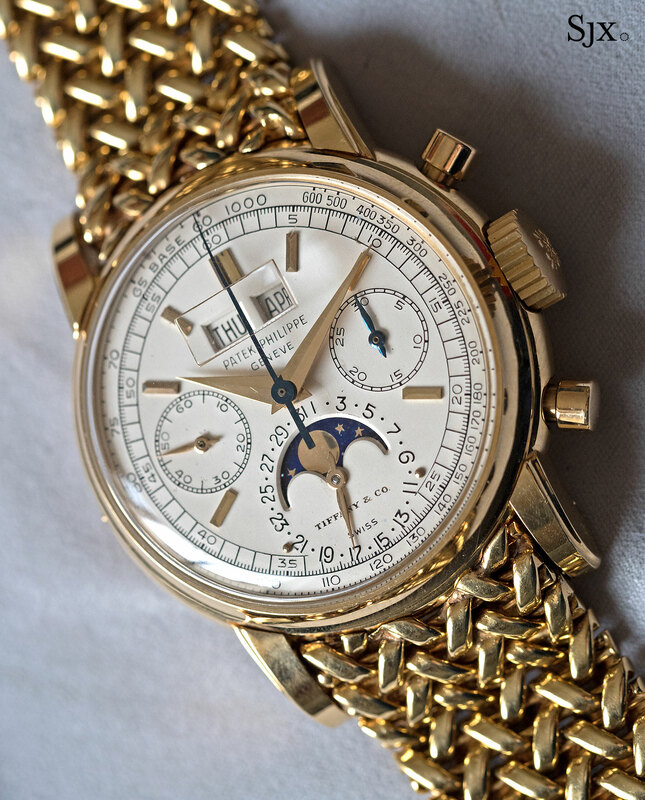 Another heavy hitter chronograph is lot 75, a ref. 1436 split-seconds “pink on pink”. 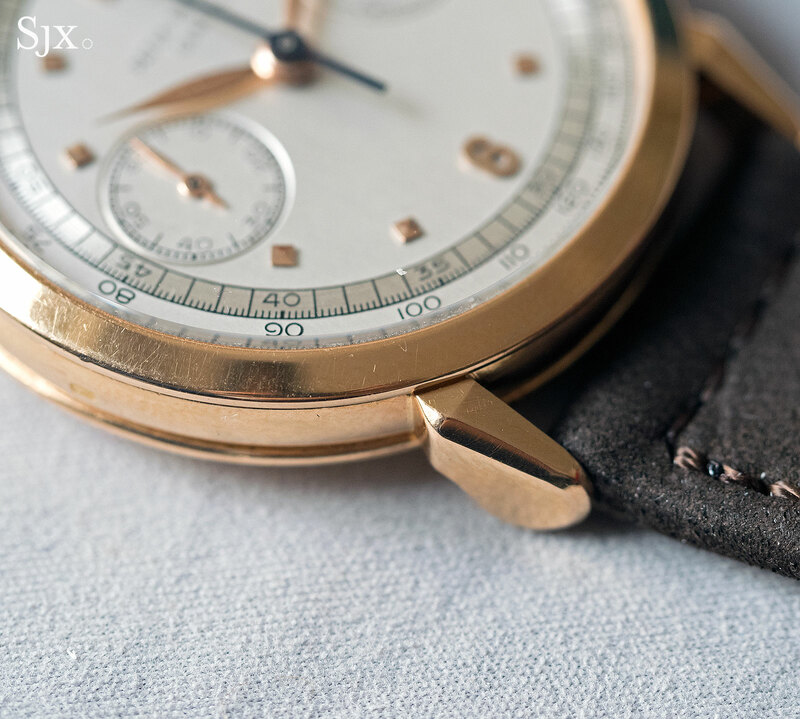 This is a rare version of an uncommon watch – only nine specimens of the ref. 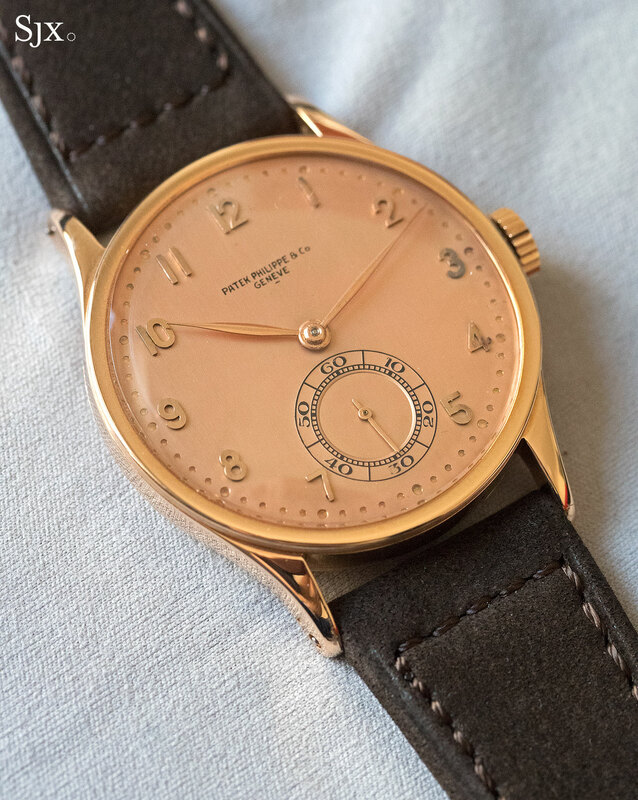 1436 in pink gold are known, with a minority having a matching pink gold-tone dial. At 33mm in diameter with widely spaced lugs, the ref. 1436 has proportions typical of its time. 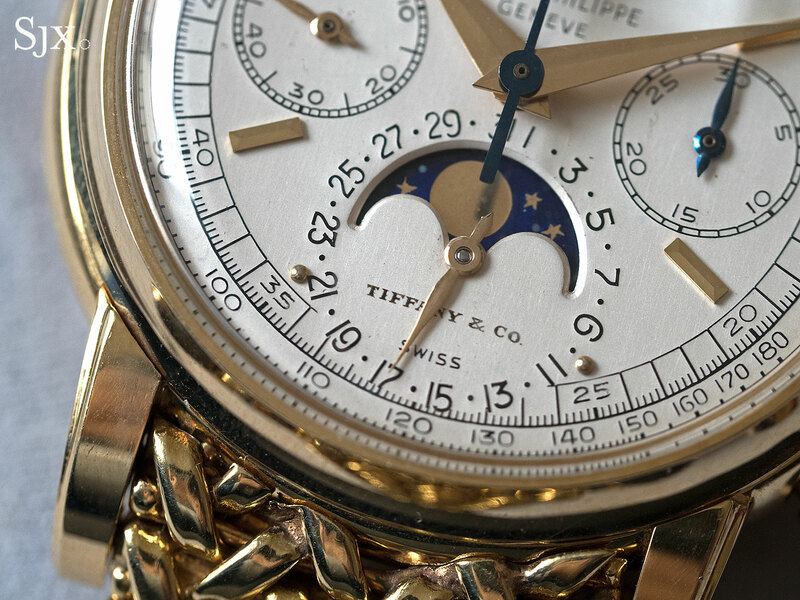 The strikingly pink dial, however, gives it more presence than the usual silvered dial chronograph. Having come off the production line in 1941 and sold in 1946, this ref. 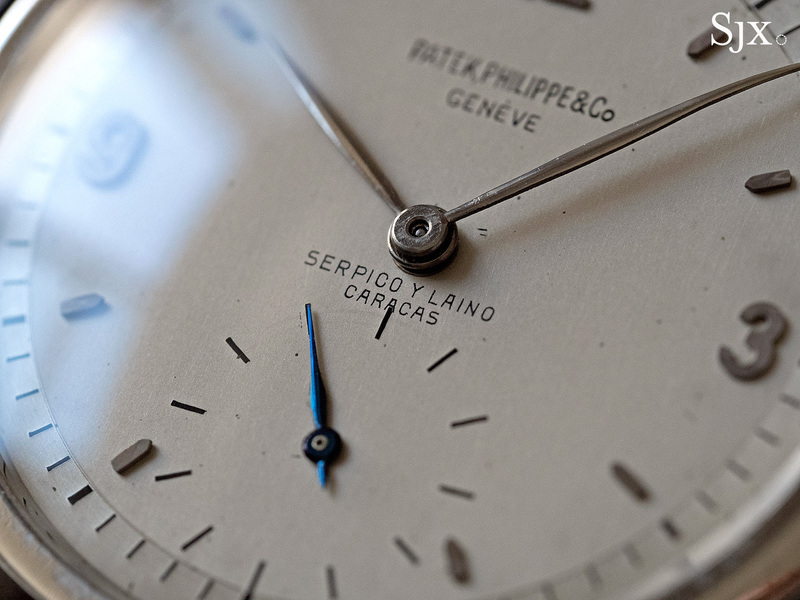 1436 is an early example of the model, distinguished by the split-seconds button that also doubles as the winding crown. 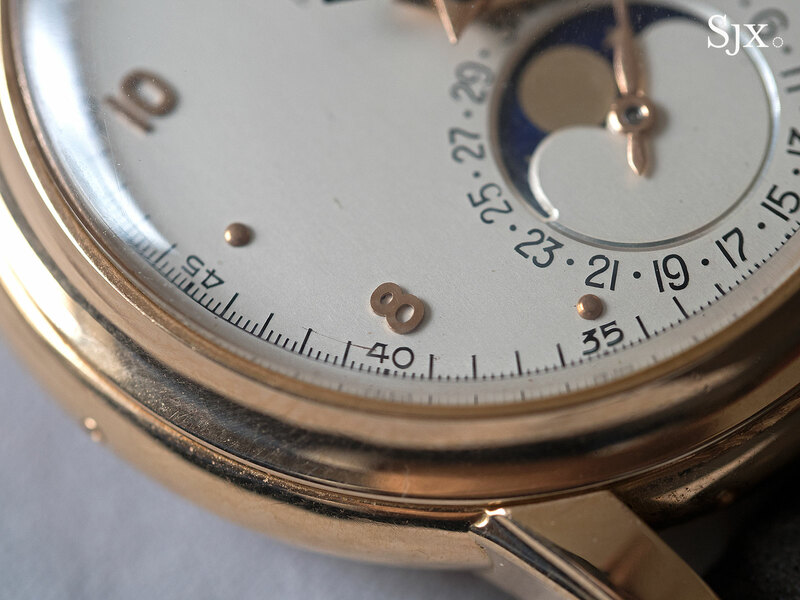 Later examples have an additional button co-axial with the crown, just as on modern split-seconds watches. 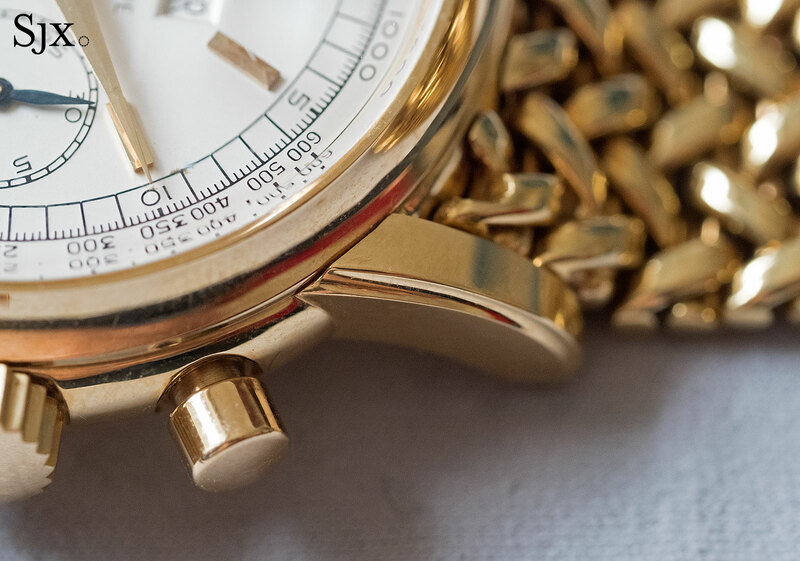 The watch has survived the decades well, with minor signs of age on the dial but crisp lines on the case and a hallmark on the band. More intriguingly it’s accompanied by the original certificate and purchase receipt for the sum of 1900 francs, having been sold to a Spanish businessman on May 18, 1946. This is estimated at SFr350,000 to SFr550,000, having last been sold in 2009 at Christie’s for SFr507,000. For the same pink on pink look at a more accessible price, there’s lot 213, a ref. 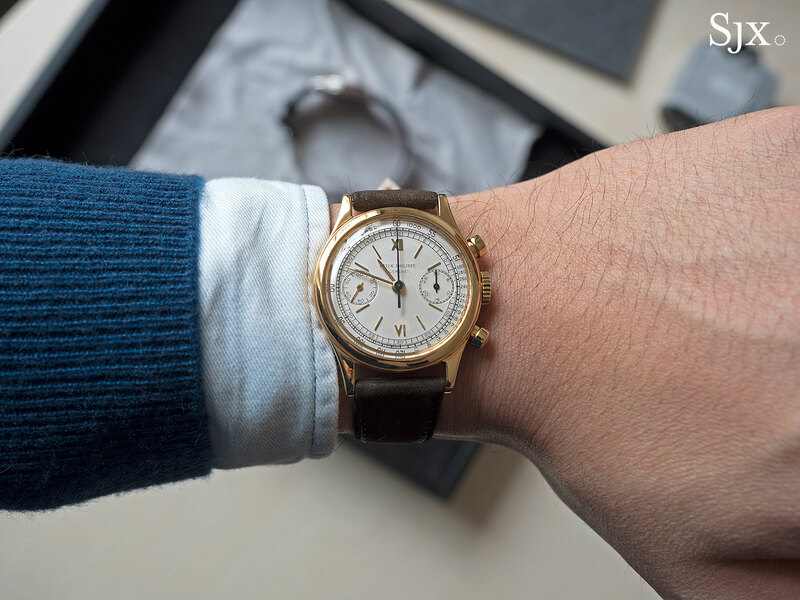 570 in pink gold with a “telephone underline” dial. This is the second (and more affordable) ref. 570 in the sale, estimated at SFr30,000 to SFr50,000. Dated to 1942, this ref. 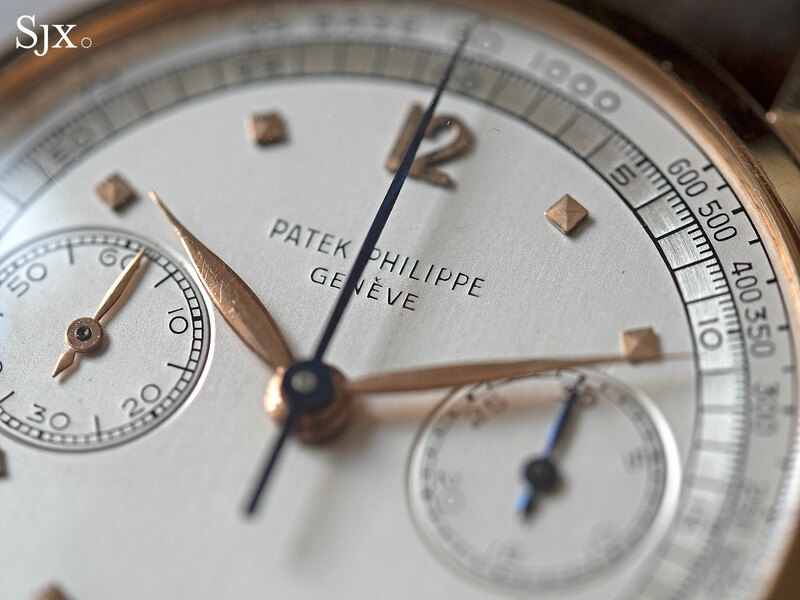 570 is a prime example of the largest Calatrava watch Patek Philippe produced at the time, with a case diameter of 35mm. 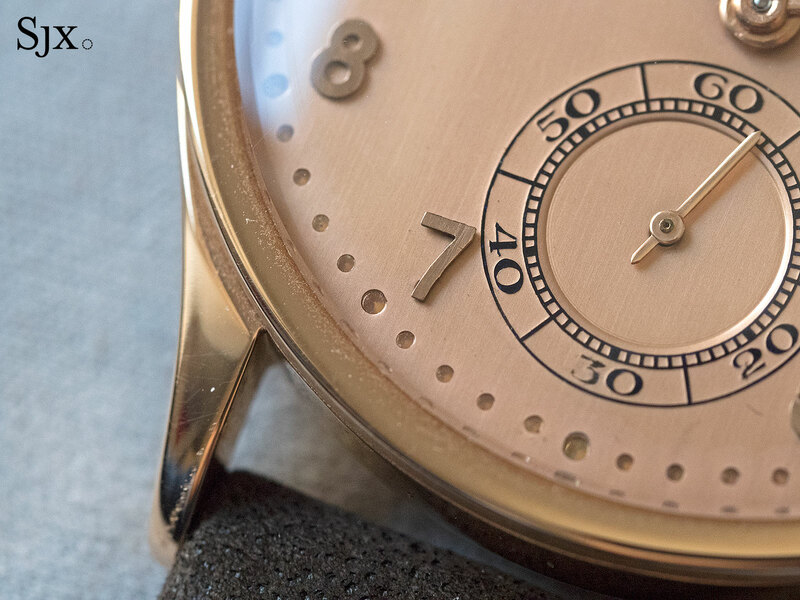 The case, numerals and hands are pink gold, as is the dial. 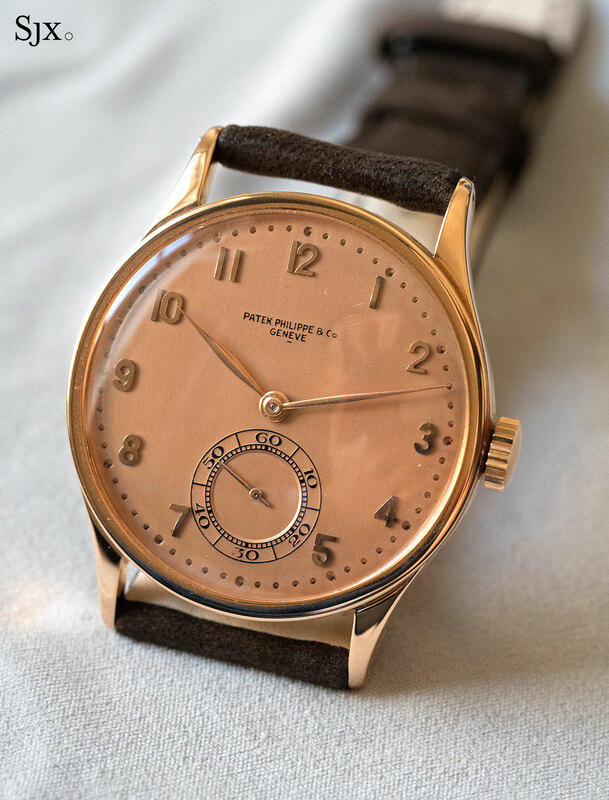 It gets it nickname from the large Arabic numerals that are reminiscent of a rotary dial telephone, as well as the small dash underneath “Geneve” on the dial, a little understood feature found on several Patek Philippe watches of the period. The other pink gold ref. 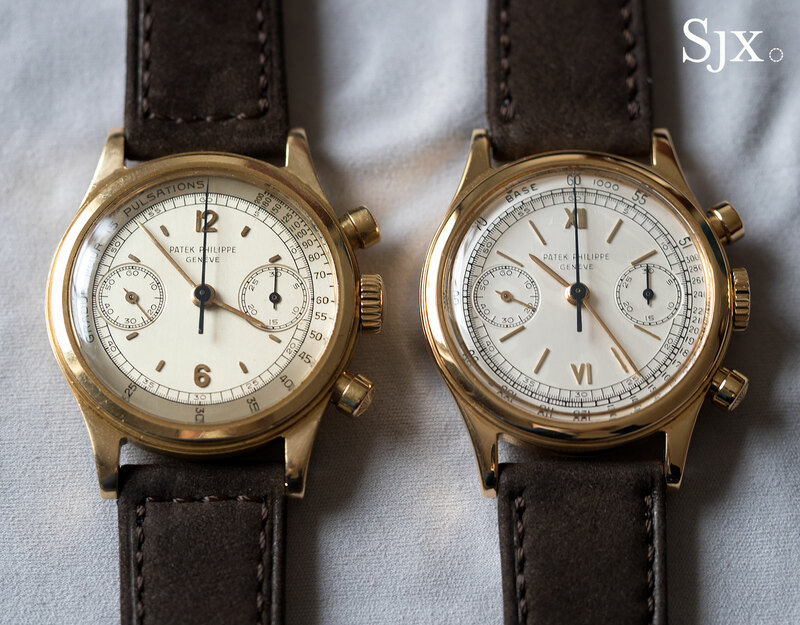 570 is lot 72, and it’s slightly better preserved, with a two-tone, pink dial. 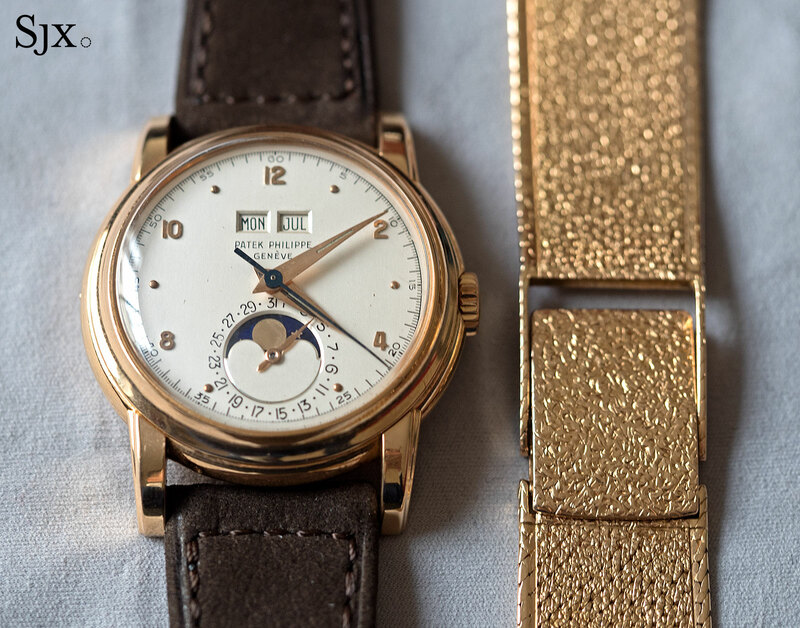 The last of the highlights is the only other Patek Philippe retailed by Serpico y Laino in this sale. Lot 73 is a ref. 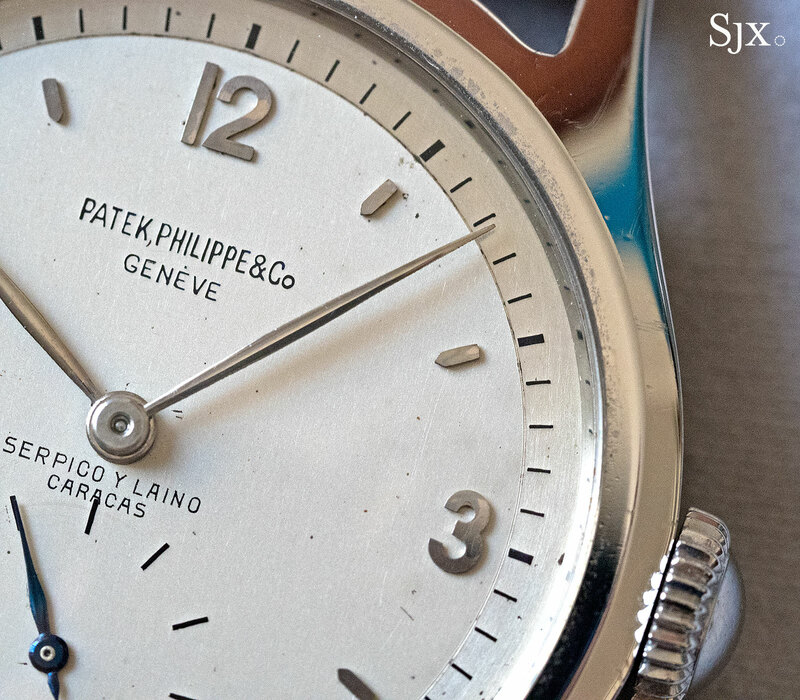 565 in steel with the retailer’s signature on the dial, making doubly rare. The ref. 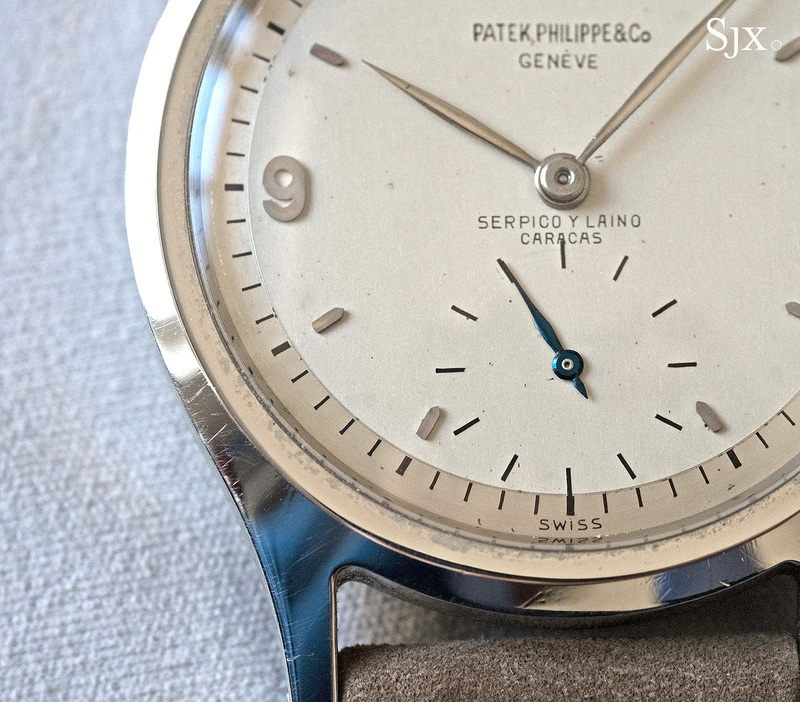 565 is an unusual model for the case lacks a bezel, with the crystal sitting flush against the case. 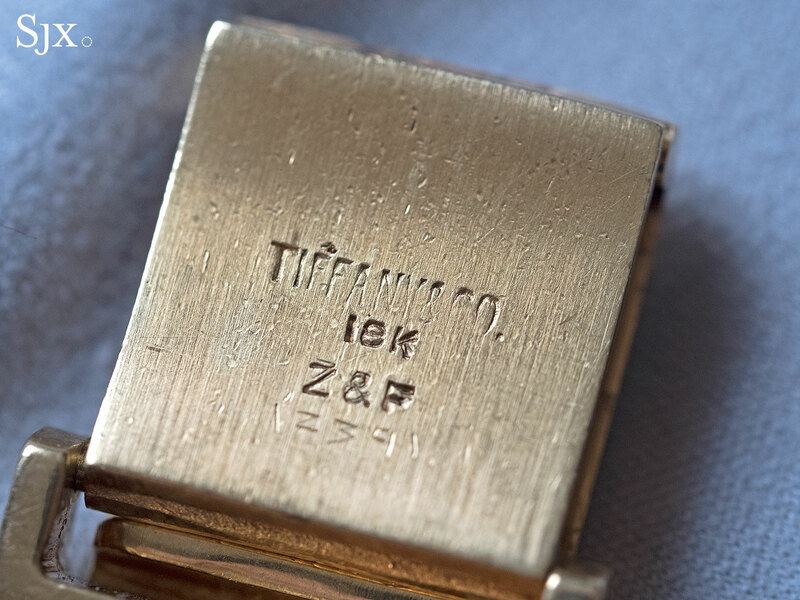 Usually found in yellow gold, steel is the least common metal for the ref. 565. This particular ref. 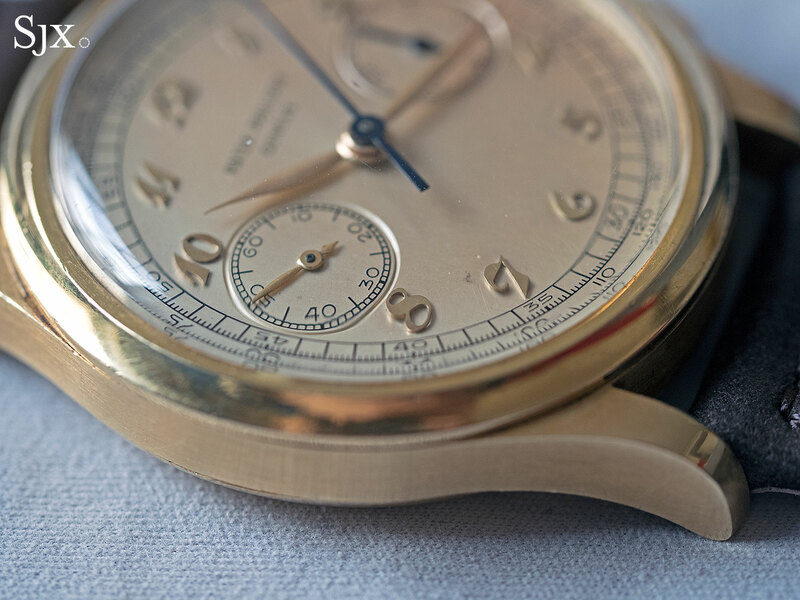 565 was made in 1948, and has an unusual two-tone dial that features the Serpico y Laino signature at six o’clock. 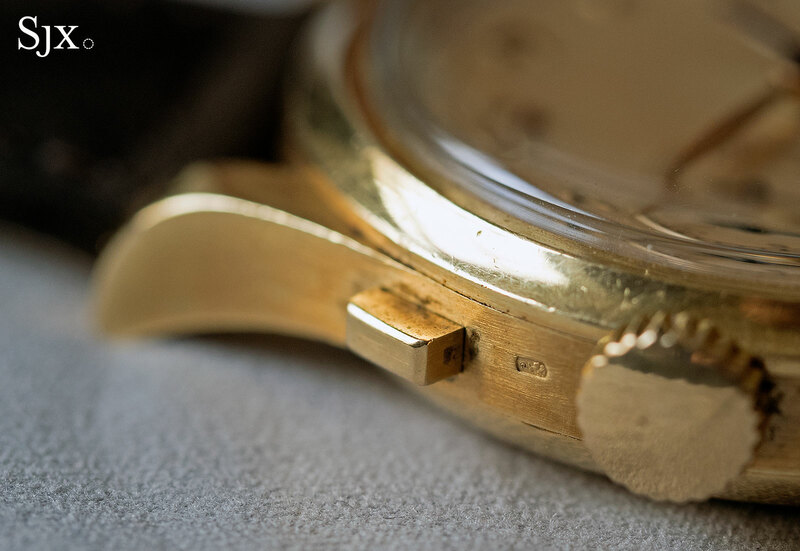 Being steel, which is significantly harder than gold, the 34.5mm case is in good shape, retaining its original contours. 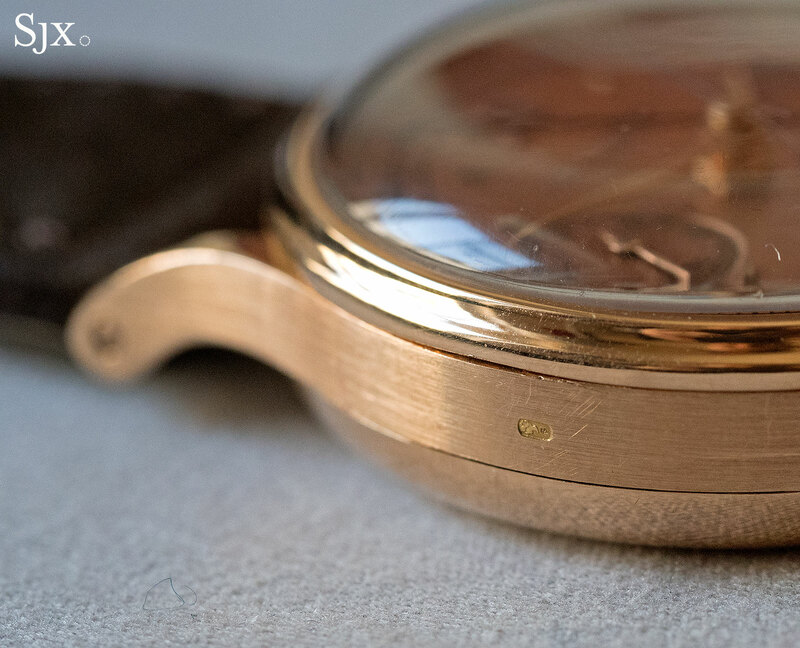 And the dial is similarly well preserved, perhaps a consequence of the water-resistant, screw-down back that keeps moisture out. This is estimated at SFr50,000 to SFr100,000. *The author has an interest in lot 162.